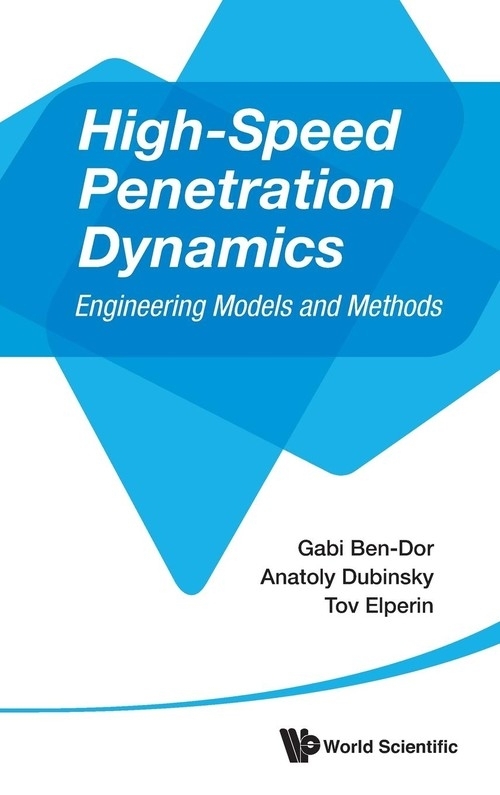 This important monograph is the first comprehensive compendium of engineering models used in high-speed penetration mechanics. The book consists of two parts. The first part (more than a quarter of the book's content) is in fact a handbook giving a very detailed summary of the engineering models used for the analysis of high-speed penetration of rigid projectiles into various media (concrete, metals, geological media). The second part of the book demonstrates the possibilities and efficiency of using approximate models for investigating traditional and nontraditional problems of penetration mechanics. Different chapters in the books are devoted to different classes of problems and can be read independently. Each chapter is self-contained, which includes a comprehensive literature survey of the topic, and carries a list of used notations. The bibliography includes more than 700 references. This monograph is a reliable and indispensable reference guide for anyone interested in using engineering models in high-speed penetration mechanics.Some Conventional Approaches to Penetration Modeling: Localized Interaction Models; Cavity Expansion Approximations; Penetration into Concrete Shields: Empirical Models; Analytical Models; Penetration into Metallic Shields: Empirical Models; Analytical Models; Penetration into Geological Shields: Empirical Models; Analytical Models; Some Special Inverse Problems: Theoretical Basis of the Method; Application to Penetration Mechanics; Method of Basic Impactors for Prediction of Penetration and Perforation: Simplified Version of the Method; Complete Version of the Method; Shape Optimization of Impactors: Survey; Penetration with Non-Constant Friction; Semi-Infinite Concrete Shields; Metal Shields with a Finite Thickness; Fiber Reinforced Plastic Laminates; Effectiveness of Segmented Impactors: High-Speed Impact; Simplified Discrete Model; High-Speed Impact. Generalized Discrete and Continuous Models; Hypervelocity Impact; Modeling and Optimal Control of Impactors with Jet Thruster: Application of Two-Term Model of Penetration; Application of the Modified Young's Model; Effect of the Order of Plates, Layering and Spacing on Protective Properties of Ductile Shields: Survey; Effect of Spacing for Non-Conical Impactors. Numerical Simulation; Effect of the Order of Plates for Non-Conical Impactors. Numerical Simulation; Effect of Layering. Theoretical Analysis; Optimization of Multi-Layer Shields; Some Optimization Problems for Non-Homogeneous Non-Ductile Shields: Optimization of Reinforced Concrete Panels with Steel Liner; Optimization of Two-Component Armor against Single and Repeated Impacts; Appendix: Some Properties of Convex/Concave Increasing Positive Functions.